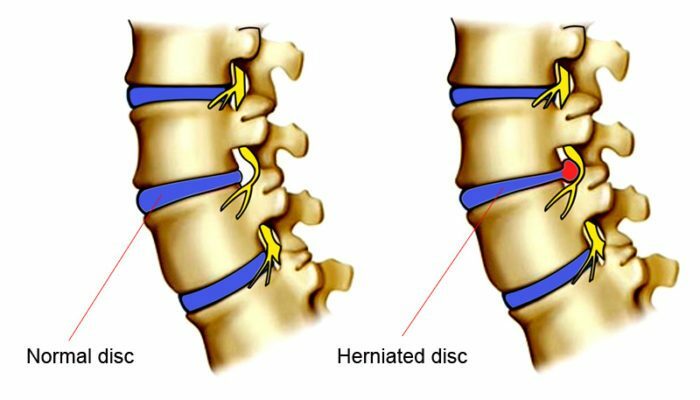 A herniated disk is a disorder that can be very painful. It is a condition that occurs when some soft materials inside the disk, which cushion a person’s vertebrae come out. Basically, not every person with herniated disk often experience pain. However, if the material which comes out of your disk intensifies the nerves present in your back, you will certainly experience severe pain. The primary goal when trying to treat herniated disc is assisting to relieve the pain as well as other symptoms associated with the condition. Each patient’s treatment strategy is supposed to be individualized basing the severity of the pain, source of pain as well as the specific symptoms which the patient exhibits. The most common places for herniated disks usually are in the neck and the lower spine. You will probably experience pain in the legs if your condition is in your back. If it’s in your neck, your arm and shoulder will hurt. If you happen to experience these signs, visit your doctor immediately. Your doctor will carry out a medical exam so as to exactly determine where the pain is coming from. Your physician will likely also test other factors including; muscle strength, reflexes as well as your coordination and balance. Cold packs can assist reduce swelling and inflammation. Apply an ice pack wrapped properly in a towel in the affected area for approximately 15 minutes and let your skin warm up. Do not apply the ice to your skin directly. After a few days, use warmth i.e. hot water bottle properly wrapped in a towel to relax the tense muscles. You can easily get relief if you frequently sleep in positions which will likely take pressure off your nerves and spine. For instance, lying while ensuring your stomach is pressed on pillows in order to ensure your back is somehow rounded will likely reduce pressure on the nerves. Stress will definitely make you be more sensitive to the pain. It’s appropriate you develop tricks meant to deal with stress. Some of stress management techniques you should consider using include deep breathing and meditation. Chiropractic care can help relieve the pain and can also provide therapy and exercises to help you get back on track without surgery.